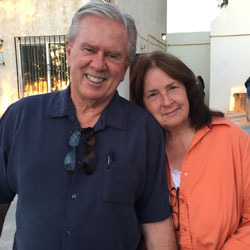 Jim and Susan Drake are two of the three Founders of Colina de Luz (Hill of Light), Christian Home for Children. It was founded July 4th, 1987. God had touched Jim and Susan’s hearts (as He continues to today) for the many needy children in and around the Tijuana, Mexico area.